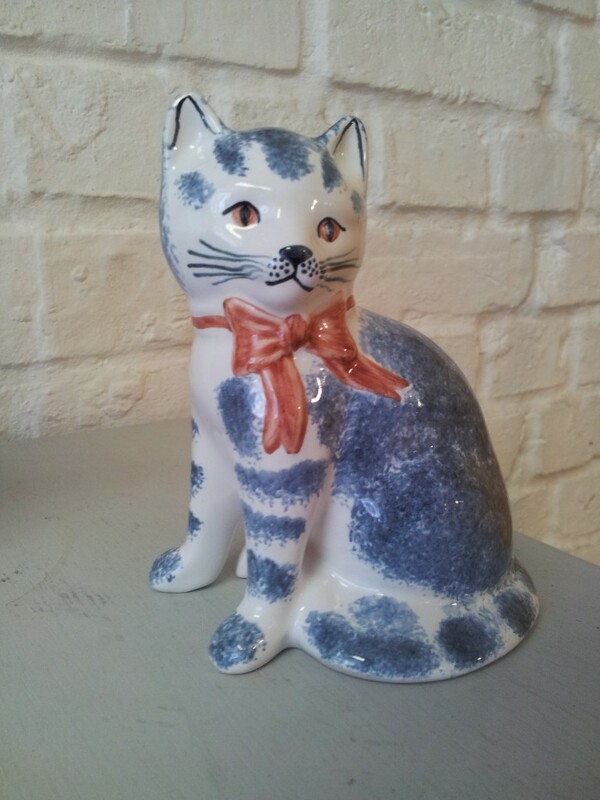 Our Rye Cats come in large and small and in a multitude of colourways to boot. 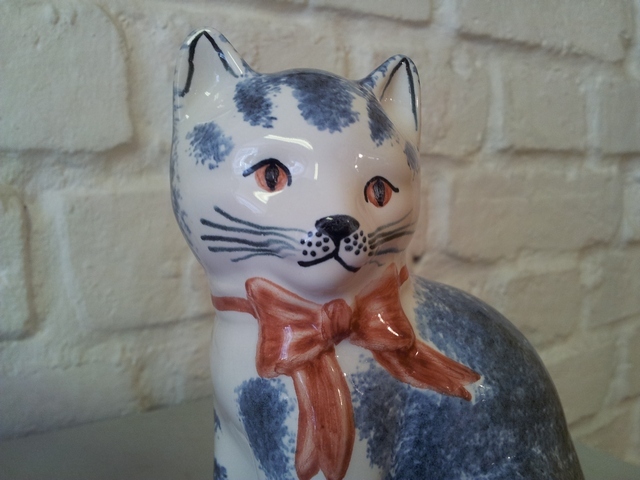 This is our very individual take on an absolute Ceramic collectors’ classic. 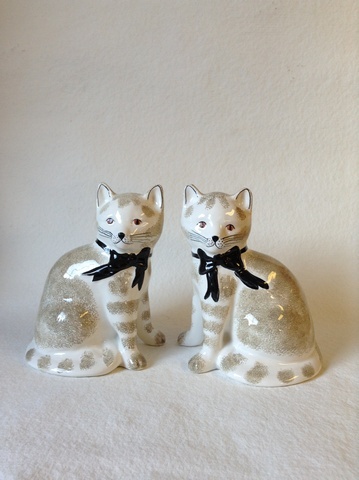 More photos will follow soon, but these stylish cats, while designed to work as a pair are not identical; each cat was originally modelled individually, and as ever with our pieces, every one is hand-painted to order. 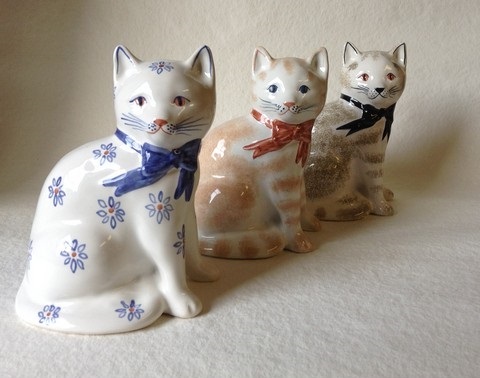 These Cats work wonderfully as a single figure on a mantlepiece or windowsill, but they’re also great if you match big and small or display them as a classic “pair”. 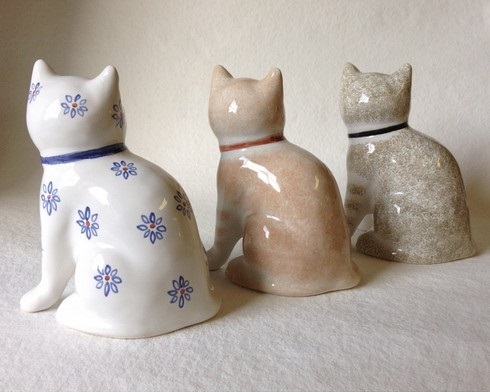 Availabel in London Stone, Indigo Blue, Classic Marmalade or Spring Daisy.